I believe that everyone can learn some technical skills. You won't finish going through the sections on this page being able to disassemble your laptop, but I guarantee you will find tasks that you feel comfortable doing. I also believe that being aware of problems with your computer, and early detection of component failures, will save time and frustration in the long run. This page is divided into six sections. Take your time, explore topics you may have some knowledge about already, and don't worry about advanced troubleshooting until you feel comfortable enough with some of the more basic tasks like running a virus scan, checking for software updates, and checking the security setting of your web browser. As always if you are attempting something on your own and you feel "lost" please don't hesitate to contact me. All six sections are indexed below. Sections 1 and possibly Section 2 are for beginners only. Experienced computer users should begin with Section 3. There is, however, Internet Safety information in Sections 1 and 2 which should be reviewed with any young people in your household. This section is intended for those that need to master computer basics and learn about computer components and basic computer use. As part of your basic training I included some links about Internet safety as well. Identify theft has become a serious problem in the last decade and Internet predators still abound. Our computers need to be safe and protected as well. "Junk" downloaded from the Internet, and now running on our computers, is a major cause of computer problems and performance issues. You need to be ever vigilant for your safety, your privacy and the security and protection of your computer. As I write about computer basics it is not my goal to "reinvent the wheel" or provide alternatives to some real wonderful tutorials that already exist online. Rather, it is my goal to find them, share them, and expound on them a bit. As I set out to find resources for my readers I examined some websites that shared my goals, only on a much larger scale. I was looking for something to teach computer basics, including basic troubleshooting, that were easy to understand and tutorial based. I discovered a comprehensive website developed by the Goodwill Foundation for Technology and dedicated to promote technology skills needed to be successful in the 21st century. I felt these tutorials would be of great benefit to someone beginning their journey with technology so I contacted them and was given permission to link to their materials. I'm providing you links to their website tutorials for you to begin exploring, reviewing, and testing your knowledge about computer basics. It should be our goal to be good digital citizens and to achieve that goal we need to expand upon our knowledge of computers and technology. Below are four tutorials from the Goodwill Foundation for Technology or GCFLearnFree.org®. The fifth link is a slideshow I created about Internet safety and shared with 5th and 6th graders in my computer education classes. You are welcome to share it as well. I would like to thank GCFLearnFree.org® and I acknowledge them as the copyright holder of the majority of resources posted above and all the content found on their website http://www.gcflearnfree.org/. I firmly believe being able to use a computer includes one's ability to set it up, diagnose minor problems, and use the built-in Windows tools to perform tests and basic maintenance. I find that while some people can set up a computer system, they are still woefully lacking in troubleshooting and maintenance skills and have a hard time finding Control Panel. A beginning level troubleshooter should be able to identify the components of their computer system. They should also be able to set it up, keep it clean and keep their system safe by using surge protection and following electrical codes. In addition they should be following common sense Internet safety practices. Doing so will keep them and their computer safe. Beyond that they should be able to run some basic tests and utilities regardless of the fact that Windows has taken over much of this for us. There are times when we need to be the ones telling Windows what to do and not the other way around. My advice to all my readers is that they familiarize themselves with the Computer Safety and Maintenance and Computer Troubleshooting sections below. 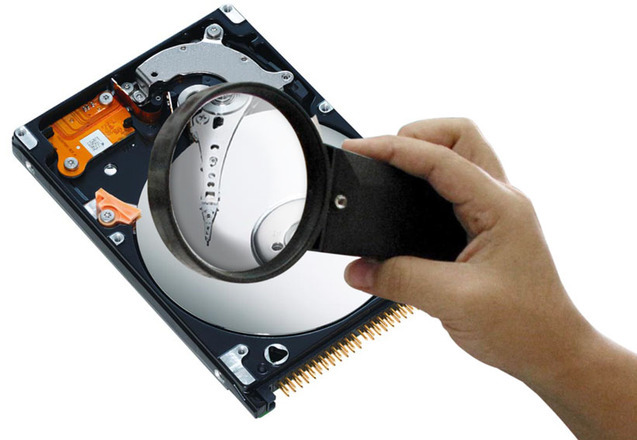 Once you have thoroughly read through the Computer Troubleshooting section you'll hopefully be ready to explore and run some basic computer maintenance tasks and use them in the future should the need arise. A step beyond cleaning your computer is having the skills to check for, and maybe even repair, minor computer hardware and software issues. The short list of tasks I believe you should have some knowledge about and be able to perform is as follows: using Windows Update, using Windows Troubleshooting and Maintenance, updating your antivirus software, setting up antivirus schedules, disk clean up, disk optimization (also know as disk defragmenter), disk error checking, System File Checker tool, and Windows backup. At the very least most computer users can learn to perform these routine tasks to keep their computer running smoothly or diagnose a problem. As previously stated, many of these utilities are built right into your computer's operating system while others are available for free download. The ones I want to focus on are Windows Disk Cleanup, Disk Error Checking, System File Checker tool, and Optimize and Defragment Drive. Three of these utilities can be found and accessed in the properties of your computer's local disk or hard drive. I made a list below called "Common Maintenance Utilities for Windows" with hyperlinks providing details about each one. In some cases they are already scheduled to run automatically by Windows but there are times when I need results quickly and can't always wait for a scheduled scan. Plus it's good to know how to access these utilities and simply check to see if they are scheduled to work hard and keep your computer healthy. In addition to the utilities found in Windows, I added three other utilities to my list and provided links to the download and technical information for each one. The first, called CCleaner, has been around for years and unlike the utilities found in Windows, comes with a mild, but effective, Windows Registry Cleaner. The Windows Registry is a database in Windows which stores important system information. It can become full of unnecessary and obsolete information over time so a utility like CCleaner is a must for those trying to speed up a computer system. The second utility is a highly rated tool to test your system's memory (or RAM) and the third utility I shared will test the reliability of your system's hard drive using S.M.A.R.T. (Self-Monitoring, Analysis, and Reporting Technology) data. 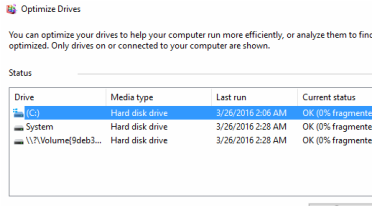 Windows does have Microsoft’s Windows Memory Diagnostic to check RAM (found under Window's Administrative Tools on the Windows 10 Start Menu) but does not contain a built-in tool to test the hard drive's S.M.A.R.T. data. Disk Error Checking for Windows 8 and 10 Running this utility is now done by Windows 8 or Windows 10 but I include it here for a complete picture of the Windows maintenance process. System File Checking in Windows 10 - this command attempts to repair Windows system files. Disk Error checking above only tests for errors on the actual hard drive. Microsoft information about the System File Checker Tool. Glary Utilities 5 - free system tools to maintain and protect your PC - I recently came across this utility. It is powerful, full of features, and easy to use. It did a great job cleaning my laptop as I wrote this webpage. In addition to using utilities like Disk Cleanup or CCleaner it is also important for you to test Windows Update and the ability of your antivirus software to check for updates as well. You should also check to see if System Restore is configured and that you will be able to find and run this utility if you ever need to restore your computer to an earlier date. In Windows 10 you can easily test Window's Update by going to Settings on your Start Menu, clicking on Update and Security and selecting Check for Updates. It may come back with an update or state that Windows is up to date. If you get an error you can open Control Panel (if you can't find it right click on the Microsoft Flag or former Start Button) and then find and open Troubleshooting and Maintenance. Look for Fix Problems with Windows Update in the System and Security section and run it. While you have this section open take note of the other troubleshooting tasks you can run. Here you can troubleshoot audio problems, network issues or select Run Maintenance Tasks and Windows will check your system for basic problems. If you actually have a problem with Windows Update there's no reason to bring your computer in for service just yet. You can download the Windows Update Troubleshooter directly from Microsoft and see if that resolves the problem. Incidentally, if you are using Window's Defender as your antivirus software you absolutely need Windows Update to work in order to keep this very important program up to date with the latest virus definitions. If you are using a third party antivirus suite like Norton 360 you'll need to open that program and update it from within the program itself but problems that face Windows from updating may be preventing your other software from updating as well. Even if everything checks out today you can ask Windows to notify you of any future problems with updates or your antivirus software. In order to to do so you'll need to go back to Control Panel, open up Security and Maintenance and find Change Security and Maintenance Settings (left pane). Make sure that Windows Update, Internet Security, Network Firewall, User Account Control, Virus Protection, Automatic Maintenance, and Windows Troubleshooting are checked off. If you want messages about the other Windows settings listed there then check them as well. Once you come up with a back-up plan you should return here and check that as well. For now we'll just double check that System Restore is configured. There are better recovery options, however they require an external drive to work properly. To check on System Restore go back out to the main Control Panel, look for System, then System Protection, in the middle of the dialog box find Protection Settings and ensure that protection is on for Local Disk (System). If it is off then you'll need to select "Configure" and turn it on. Make a mental note of how you got here. If you ever have to restore your computer to an earlier date your would return here and simply select System Restore. While it doesn't always run successfully, it has a high success rate and you should be aware of this built in Windows feature which dates back to Windows XP. Scanning for viruses and malware must be a priority to keep your computer both safe and fast. The most serious threat to your personal computer, your data, and your privacy may be right around the corner. Odds are your computer will become infected with some unwanted program at some point in time. Malware ranges from that coupon toolbar than won't uninstall to the rogue antivirus infection that has disabled your task bar and start menu and claims you have 5, 000 infected files and the only way to fix this issues is to call Microsoft when in reality the phone number displayed puts you in touch with a thief in a third world country. It happens all the time and while I know you are smart enough to never call that number you still need to check for malware in the event that this "fake antivirus" installed. I would like to point out that the term "malware" and "virus" are often used interchangeably. A computer virus is simply a type of malware. In the traditional sense a computer virus is a malicious code that spreads by infecting other files in your computer. This type of code is less common today as criminals have found better ways to spread their malicious codes. In the 1980's, however, most malware (malicious code) was written in the form of a computer virus so the terminology became popular and is now part of our language and used to describe any unwanted software or malicious code. Considering that adware, Trojans, rootkits, worms, and spyware are all types of malicious code, but don't spread like the traditional computer virus, we are more accurate using a more general terms like "malware" to refer to most computer infections and malicious code written today. On the other hand it's fine to use the term "computer virus" a bit loosely these days based on its historical usage and the fact most individuals are probably more familiar using the term "virus" anyway. What about my Antivirus Software? You may be asking yourself how this virus made it through your antivirus software when the truth of the matter is that there us no such thing as 100 percent protection and that getting a "B" in this area is actually a good thing! This malicious code is often hidden from your antivirus programs or simply installed when you tried to scoop up a free program, or game, or were ignoring Windows messages that the file may not be safe. Some strike when you visit a particular website and if you make the mistake of interaction it installs itself and soon will be controlling your system. You need to get rid of if fast! Viruses, spyware and adware can completely disable a system. It's not a matter of if you'll someday encounter a computer virus but it's more of a matter of when you'll get a computer virus and if you'll be equipped to deal with malware that made it past your antivirus software. This happens all too often so it is important for the technician, and the tech savvy user, to have an arsenal of malware removal tools. If your machine does become infected you risk your privacy, security and the overall health and performance of your computer. In some cases your computer may not run at all. You simply need to be prepared for this. While I can't possibly list every scenario of removing computer malware here, and while some cases may need to be handed over to a trained technician, there are attempts you can make to rid your computer of threats and viruses that haven't completely shut you out of your machine. Here are a couple options that have proven to be very successful at removing malware without requiring you to make changes to the Windows Registry. Use Malwarebytes – If you haven't done so already you can easily install a program called Malwarebytes so it's readily available for the day you suspect your computer has an infection. Having it on your computer isn't a guarantee that it will be able to run and remove every sophisticated computer virus or malware in existence, but if you have adware or some simple spyware then Malwarebytes should easily get rid of it. Unfortunately some of the more sophisticated malware can prevent us from running Malwarebytes and other antivirus programs. Many times you'll find that your antivirus program is disabled along with the Run command, Task Manager, Windows Recovery and Windows Updates. This way the virus protects itself and makes it difficult to remove. Still, each virus acts differently and there are often ways to access Windows, install Malwarebytes, and eliminate the threat. Special tools have even been created to stop the virus from running long enough to install Malwarebytes. I've provided the links to those as well. RKill - terminates the virus process so that your antivirus program can run or you can install Malwarebytes. File Assassin for Locked Files - Sometimes a virus will lock a file as a form of self protection. File Assassin can help you unlock it so it can be deleted. I'm also sharing a few malware databases which can help you identify a virus and may assist in its removal. If you are using Malwarebytes you should probably visit the Malwarebytes Forum with Removal Guides. Many of these removal guides will let you know if using Malwarebytes (with or without using RKill and File Assassin) will remove the threat in the first place. You can also decide if you want to tackle this on your own and seek out a professional. If modifying some hidden settings in Windows is too involved for you then you may want to opt to have the virus removed by contacting a computer repair professional. Many solutions to permanently remove a virus from your computer system requires that the Windows Registry be modified or your operating system will simply instruct your computer to re-install the virus. I don't recommend tampering with the Windows Registry, nor am I going to provide you with the information how to do so. These type of modifications are for advanced troubleshooters and fall outside the scope of this page. Modifying the registry can have profound consequences on your operating system. You do have the option to export (backup) the registry first but unless you've done these things before you may want to call a computer technician offering a reasonable price for virus removal and who is willing to reinstall your operating system as part of their service should that be required. Most will charge extra to reinstall your operating system. I'm the only person I know who will do that for their customers at no extra charge if it becomes necessary. Before you run off and pick up the phone, however, you can check one of the malware databases to see if there are any additional options to try first. You can also try using a Portable Antivirus Application. Details are provided below. 1. First check the databases listed below to see if removing the virus is something you feel comfortable enough doing yourself or if you feel more comfortable calling a computer technician. These databases may save you time and help you determine a course of action. 2. Another option is to try using a portable antivirus program to remove the malware. Portable antivirus programs are only for "on-demand scans" but they have the advantage of running from a USB or CD drive without starting Windows and are worth a try when malware prevents you from accessing your computer to install some rescue software. 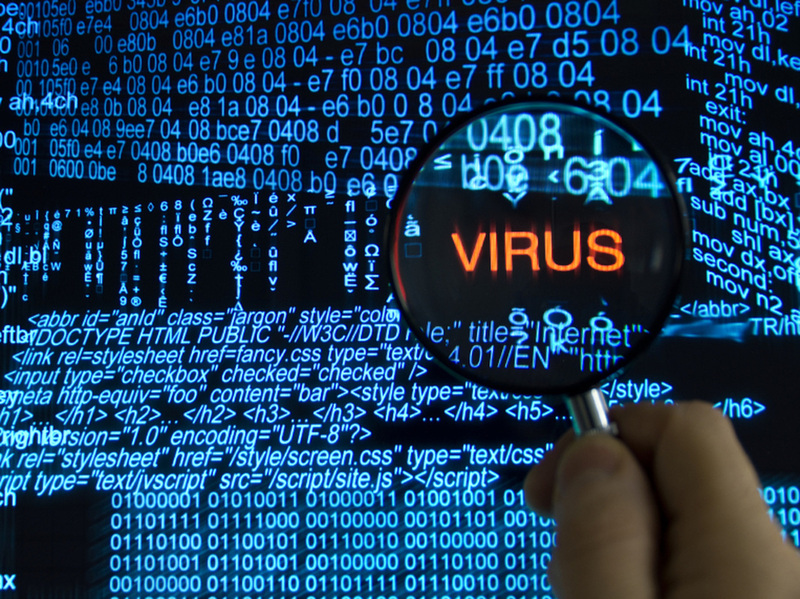 This type of malware is on the rise and is often referred to as "ransomware". Two very popular Portable Antivirus programs are ClamWin and Emsisoft's Emergency Kit. Both of these portable apps are shared at the links below and come with the instructions on how to make it a portable app with the ability boot your computer from a USB or CD drive. For our purposes here we only discussed virus and malware removal. Make no mistake, prevention is essential and you must protect your computer with antivirus software and have a means of removing malware that does get installed on your system. Even after a virus is removed further attention to your computer may be required. Now is a good time to go back and run all your maintenance tasks again. You should use the utilities we spoke of in the Intermediate Troubleshooting section to check your Windows file system for errors, clean up temporary or junk files, run Windows Update, and use CCleaner's mild registry cleaner. You should check your web browser as well to see if your home page is accurate and if you have any unwanted toolbars installed. If you do find problems, your browser may have been hijacked and will need to be restored. The Windows Club has some free browser hijacker removal tools to help you fix your browser. If you find that your system in general is not functioning properly it may be time to seek a professional computer technician. An experienced technician can repair or re-install Windows and will know what steps to take to quickly get your computer back up and running. An experienced professional has done this many times and has the knowledge to quickly recover your files and repair/re-install Windows. There are several ways a knowledgeable technician can do this. One excellent option I recently used was to perform an in-place upgrade using my Windows 10 DVD. It allowed me to keep programs and settings while repairing Windows. Once again, these advanced options may need to be done by a trained professional or experience Windows user. That experienced Windows user may be you one day and I sincerely hope that it is. Windows original System Restore still exists but better, more effective recovery techniques are now standard with newer versions of Windows. Some of these newer options require an external drive while others require your Windows 10 disk but you'll be glad you have a system image one those occasions when System Restore doesn't work. As for your files and important data you'll need to come up with a plan to store this information outside your home in the "Cloud". 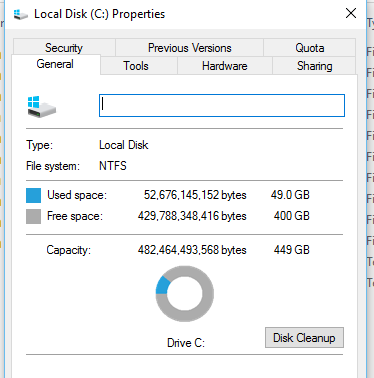 Disk Cleanup is a Windows Utility used to delete old files. I could easily call this page "How to make a Windows Computer Fast" but choose not to because I wanted to be sure to include recovery options, Internet safety, and fixing problems with Windows Update. The reality is, however, that I've already provided you with all but one of the steps needed to having a faster computer. My checklist for increasing a computer's speed can be generated from the maintenance tips we've already covered. Step 1) Check for and remove malware. Step 2) Check your hard drive for physical disk for errors (chkdsk /f). Step 3) Check your operating for errors (sfc /scannow). Step 4) Run Disk Cleanup or CCleaner to get rid of useless files. Step 5) Use a mild registry cleaner like the one included in CCleaner. Step 6) Defrag the hard drive and/or make sure Windows is running this task regularly. Step 7) Remove unnecessary startup programs and get rid of the bloat. What I left out until now is often the number one reason a computer slows down over time. There is simply no way to speed up your computer if you don't monitor what programs you allow to run when your it starts. You may have heard of the term "bloatware" which refers to the many programs that computer, printer, and even software companies include with their products. These additional programs are often unnecessary and certainly do not need to run at all times. We need do be vigilant when we install software and devices on our computers. Left unchecked we could end up with a dozen programs running in the background that we don't even need. It's never too late and even if we have a dozen unnecessary programs already installed there are simple solutions to disable them. Assuming that we want to run these programs once in a while, we need to find a way to prevent them from starting without uninstalling them completely. Both CCleaner and Glary Utilities 5 can assist you disable startup programs. You can also use Task Manager to accomplish the same goals. While you can disable just about anything you find there without creating instability in Windows, you would be wise to do a little investigating before you accidentally disable your antivirus software. Glarysoft Utilities maintains a database of startup programs that are safe to disable. In addition, the website BleepingComputer has a massive database of potentially unwanted startup programs. Their website is worth a visit as they have plenty of information on virus removal and computer tutorials. This page briefly covered basic Windows troubleshooting and maintenance. In the future I would more information about Windows recovery and also provide troubleshooting steps to take if Windows fails start. We did, however, look at some popular disk utilities, examined some virus and malware removal tools, and learned how to check and see if Windows Update (and Windows in general) is working to keep us and our data safe. We also looked "underneath the hood" of Windows 10 and examined some Windows maintenance tasks. More importantly we discussed the responsibility we have to be more technical and knowledgeable Windows users to enhance our lifelong experience with technology and increase our productivity as we learn to solve more problems on our own. If you have any questions, technical or otherwise, or if you need troubleshooting advice I'd be more than happy to answer your questions and help you find a solution. You don't need to be a customer as I'm a firm believer in being part of the online technical support community. I would ask, however, that you ask your questions on my Google+ or Facebook page so others, who may have the same type of questions, have access to our dialogue. If you don't want to join either Facebook or Google+, or for some other reason you don't want your questions shared publicly, I completely understand and you may use my Contact Form on my Contact Page. If you are in the Trumbull/Bridgeport area and you are having a computer problem that requires immediate attention please call me (203-913-0627) to make arrangement for service. Follow me on Google+, Facebook, and other social media.